The debut album from Swedish queen of jojk, residented north of the polar circle. 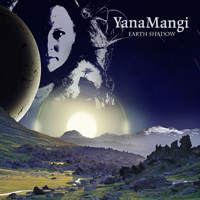 Her previous 2 CD singles from 2002 and 2004 have enjoyed many people, and Yanas unique brand of rock, folk and worldmusic will certainly melt the coldest heart. Produced by Kee Marcello, who also performs on the album + features special guest Linda Lampenius of violin.